AAA Signs, Inc. is an electric signage manufacturer located in Lafayette, LA. Established in 1984 by Ken Stelly, AAA Signs, Inc. builds signs for both local businesses and national chains including Popeyes Louisiana Kitchen. 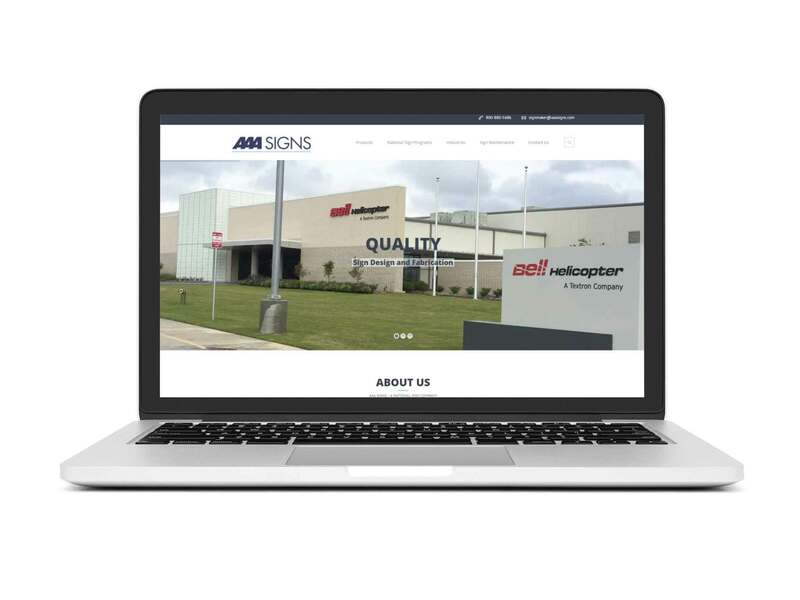 AAA Signs, Inc. wanted to update their website so that it more accurately reflected the professional sign manufacturer they are and to help them compete more effectively with other, larger national sign manufacturers. The new website features an updated full width layout complete with project portfolio. It is clean, simple and easy to navigate. As part of this project we also worked on their on-page SEO. We conducted keyword research and wrote new copy to help them target regional and national chain clients.